DIY Series: Bullet Planter Jack-O-Lantern & more fun ideas for Halloween! 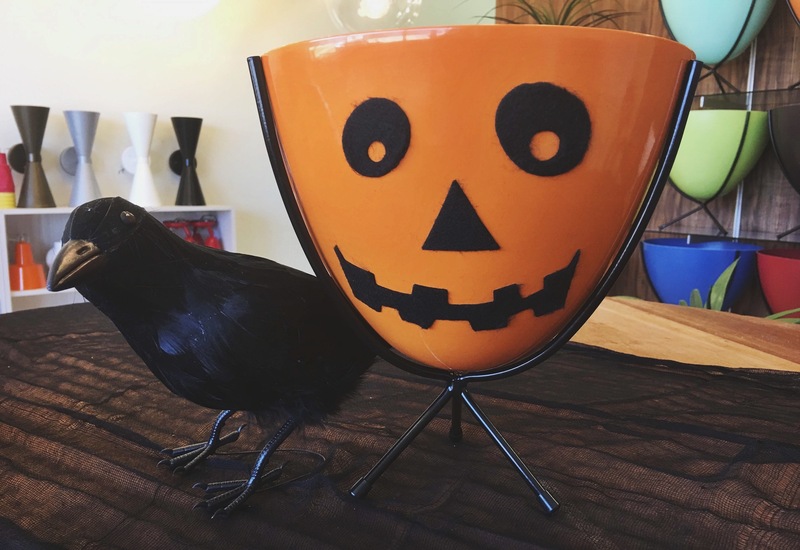 If you love Midcentury Modern and Halloween as much as we do, try out this crafty idea to temporarily transform your Retro Bullet Planter into spooky decor. 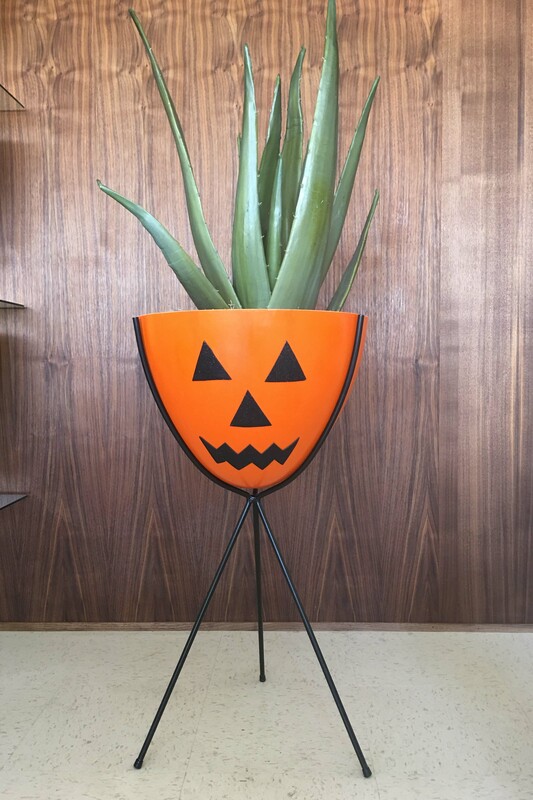 The example illustrated below is a Jack-o’-lantern face on one of our hot orange Retro Bullet Planters, but you could just as easily add a ghost face or flying bats to a white planter, a skull or spider to a black planter, or alien eyes or a witch's face to one of our chartreuse planters! 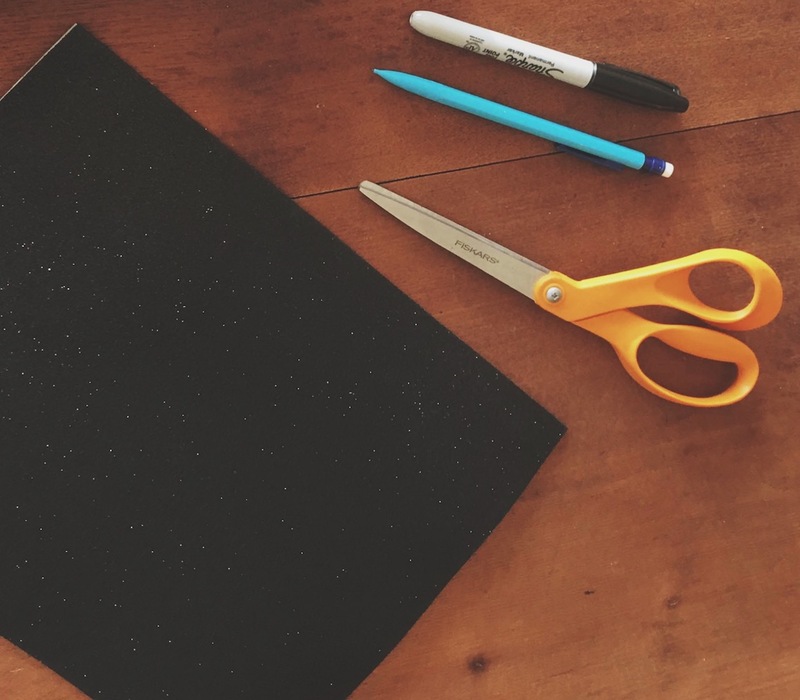 1) Using a black, self-adhesive material such as contact paper (or in our case, a self-adhesive “glitter foam" sheet), you first need to create the face. On the back of the material, draw or trace the eyes, nose and mouth of the Jack-o’-lantern design you’ve selected. For design ideas, find templates-a-plenty, here. 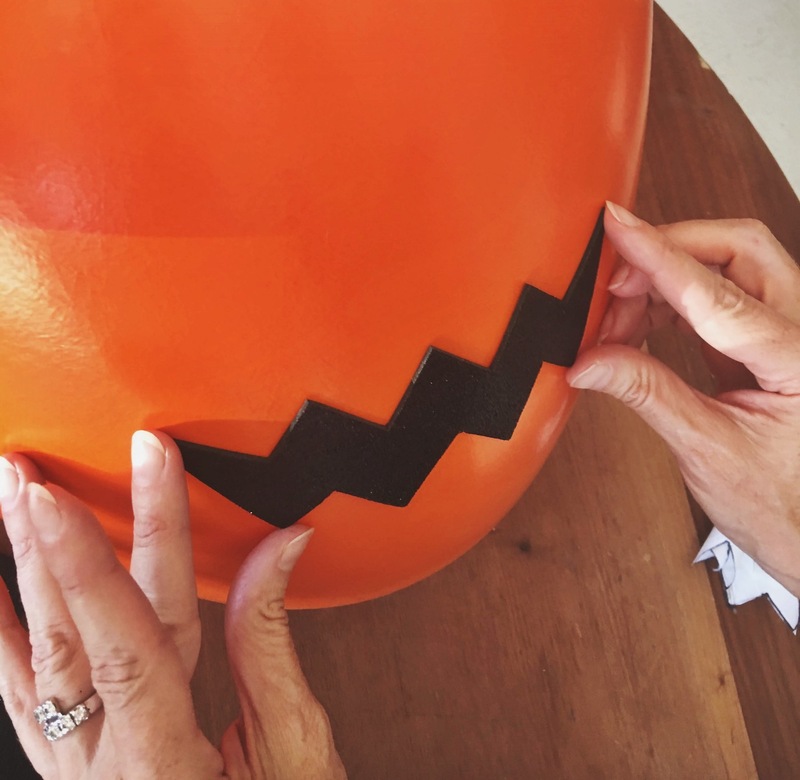 For those who want to skip the crafting and get straight to the decorating, we’ve found ready-made pumpkin face decals, here. 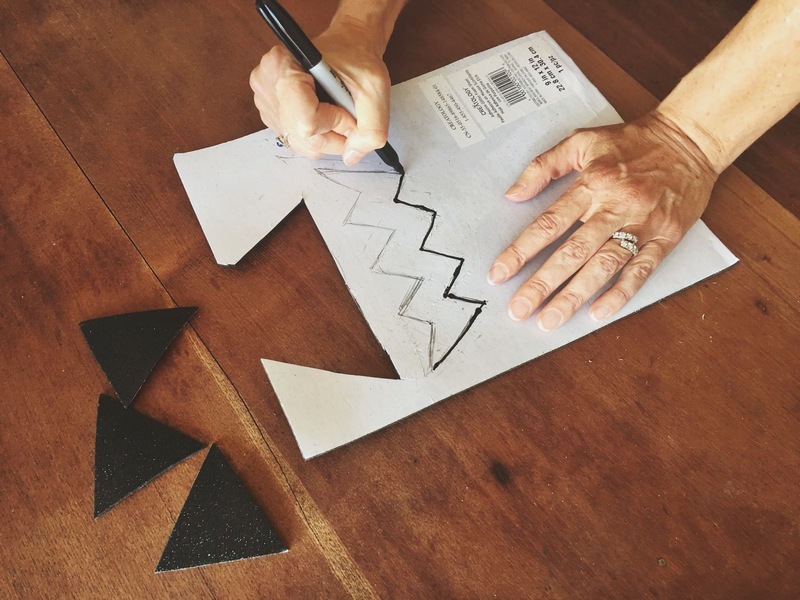 2) Then, cut out your design with ordinary scissors. 3) Next, remove the adhesive backing from your material and adhere the cut-outs to your bullet planter bowl however you like! 3) Now, place a container with the display of your choice inside. 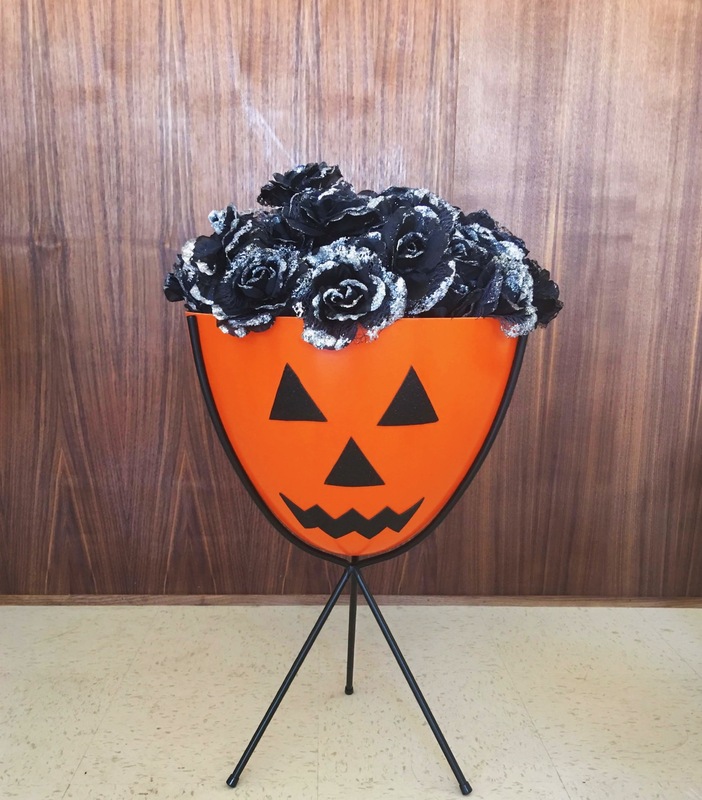 As you can see, we’ve used our giant aloe for one pumpkin display and black glitter roses for another. Because all of the decor in this project is easily removable, you can simply detach the stickers and clean your planter with any countertop degreaser once the festivities are over. 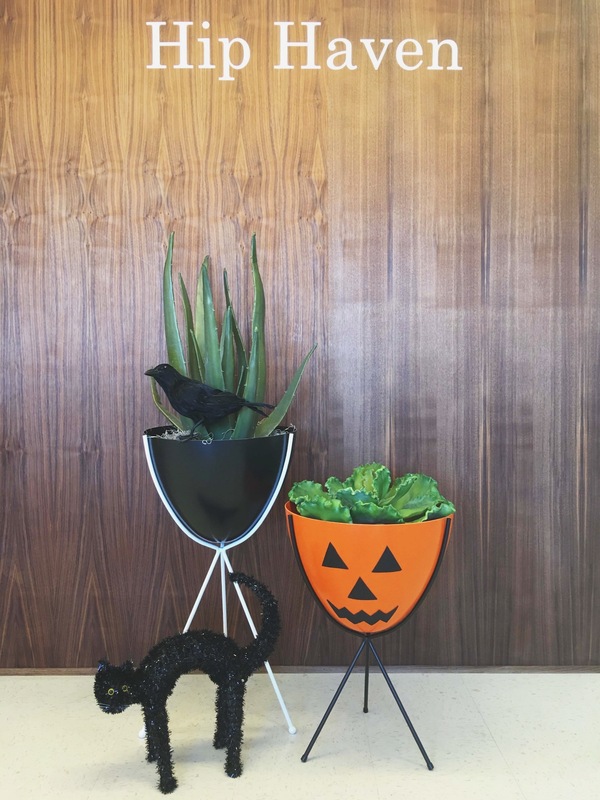 Welcome back your stylish midcentury modern planter…at least until it’s time to decorate for Thanksgiving! PS: You can also transform your Mini Retro Bullet Planter into a cute midcentury-themed candy bowl. The tangerine color shown below is a limited edition color, available while they last. As an added incentive to get crafting this Halloween, we are running a 3 day flash sale on the full-priced Retro Bullet Planters, Mini Bullet Planters, and Patio Pods. Just use the code: SPOOKY at checkout to qualify for 15% off! Please send us your photos or tag us on social media, and have a fun-filled Halloween!